The Department of Architecture is a vibrant, collaborative learning community. We help students develop the values, knowledge, skills, and practices they need to create better architecture and environments that resonate with people and their cultural, physical, and ecological worlds. 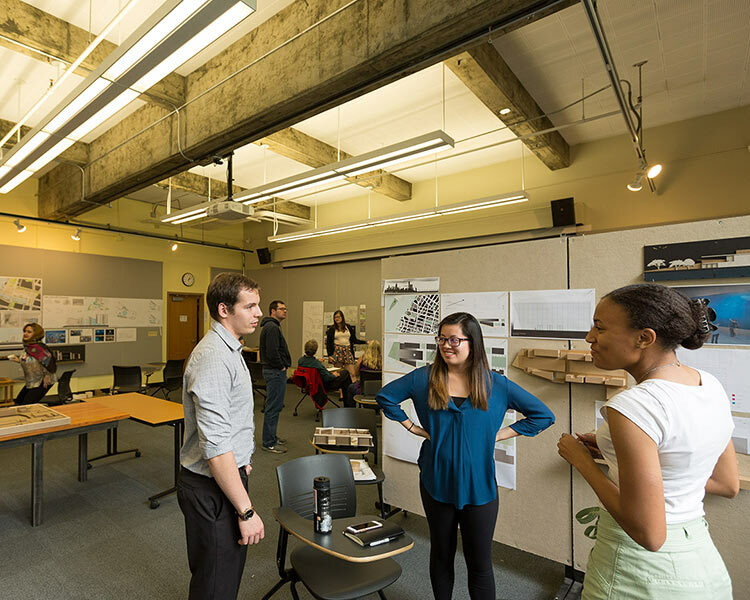 Grounded in a unique multidisciplinary structure, the Department of Architecture includes programs in Eugene as well as an urban architecture program based in Portland. Our programs and faculty are nationally recognized for their innovation in environmental sustainability research in the design of buildings and communities. Learn more about our faculty by reading their profiles or browsing the Guide to Research + Creative Practice. 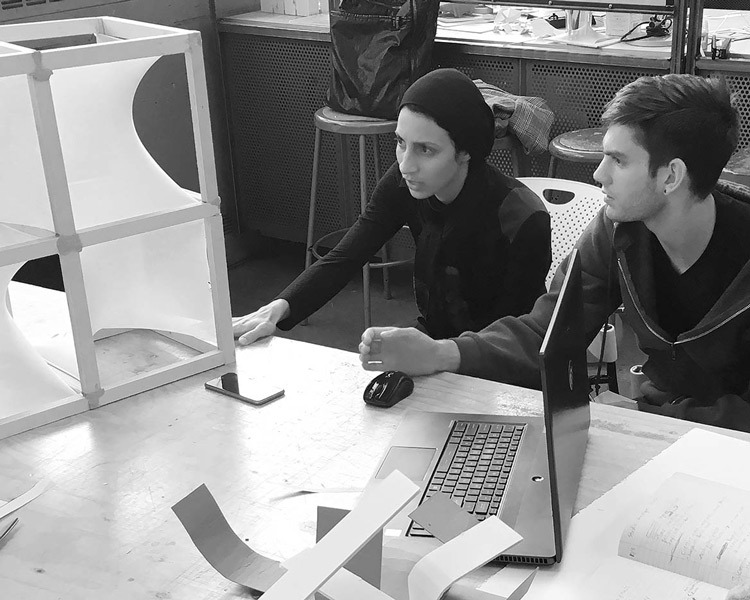 We emphasize collaboration and a noncompetitive but rigorous learning environment and encourage a supportive studio culture through facilitated peer teaching and teamwork. The department doesn't dictate a specific design aesthetic or ideology for you to follow. Instead, we encourage intellectual inquiry as the basis from which you forge your own design path. The Department of Architecture is dedicated to recognizing designers’ accountability for their impact on environmental, social, and cultural systems. Our student organizations assume leadership roles in developing extracurricular programs and community service. Our graduates are broadly educated designers who attain leadership positions in the professions of architecture and related fields. 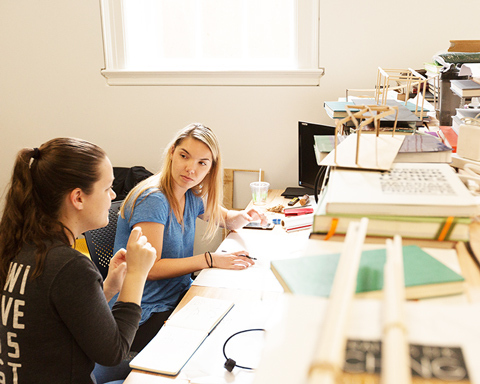 A central part of architectural education is the design studio, in which students learn through hands-on experience in design. All students enrolled in studios are assigned their own workstation within a space dedicated to their studio group and available for use at all hours. Advanced students often work together in courses and as collaborators with faculty members in research investigations through independent study courses. Studio work is evaluated by faculty and reviewers, who are professionals in the field, using individualized discussions and written assessment rather than through a traditional letter-grading system. We offer study abroad opportunities in Italy, Japan, Germany, Finland, and Denmark. Cultivating a forum for dialogue and networking opportunities between students and professionals practicing ecological and sustainable design, the student-led Ecological Design Center hosts the HOPES (Holistic Opportunities for Planet Earth Sustainability) Conference each spring. 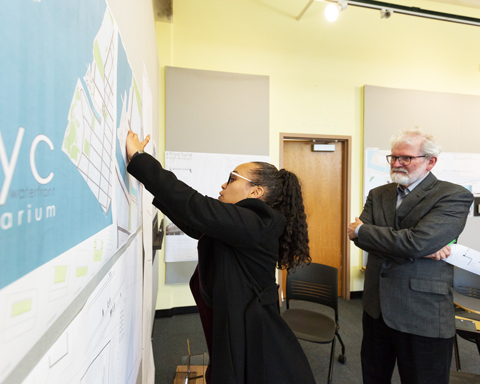 Collaborations with other programs within the College of Design provide opportunities to engage in explorations that involve landscape architecture, interior architecture, planning, historic preservation, product design, art, and the history of art and architecture. Visiting the UO is one of the best ways to learn about us. Participate in UO's campus visit programs—Duck Days in the spring or Duck Preview in the fall—to tour facilities, see campus, and meet with faculty members or schedule a tour anytime. 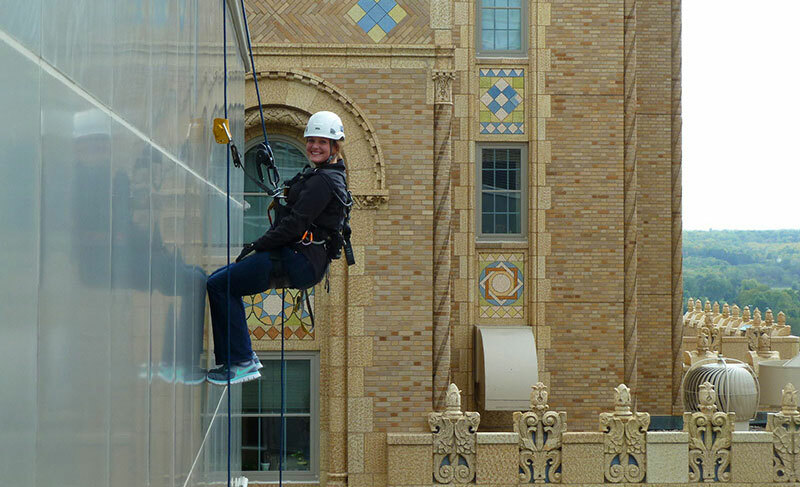 Chelsea Karrels (MArch, ’12) never anticipated rappelling down a 13-story building. Read more about her journey from SAE to architecture adventures in the Midwest. 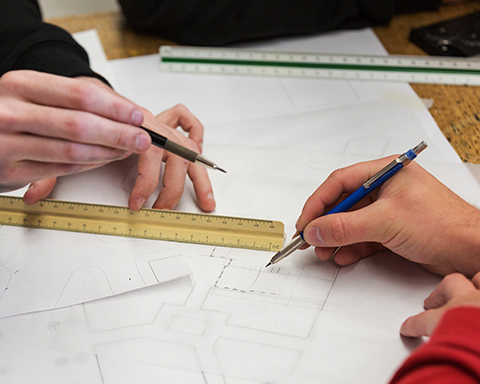 Our Bachelor of Architecture (BArch) and Master of Architecture (MArch) programs are accredited by the National Architectural Accrediting Board (NAAB).